Can you ever tell when the Rooks come into town? They swarm in on the sunrise, that’s what. From far away they look like any old birds. A flock of geese, perhaps, flying home after a long winter away. But rooks are more sinister than that. They squawk and caw along with the crows, in graveyards. I heard they were carnivorous birds too. Which is especially morbid, when you think about it. What are these awful carnivorous birds doing loitering about graveyards? Lots of meat in graveyards, if you ask me. The summer of the Rooks is different, though. Every four years there is a Summer of the Rooks. It occurs when all the Rooks from all over Urigal fly to the capital city of that land, and there is much merrymaking as the days grow longer, and the minstrels walk about in long beautiful gowns, their long tresses bleached golden by the sun, their voices trilling in sad beauty; the markets are groaning with produce, the people were at peace and rest. All is right with the world. Once every four years. This year, of course, was no different. Twig was alive, as Twiggy as ever. His shock of white blond hair was positively silver that summer, the sun had been out so much. His cousin Delilah was as delightfully moody as ever, and as protective of her cousin Twig as she always was. His best friend George, the Pie-Boy, as the Phenomenal Girl liked to call him, was ever present. And yet there was a look in his eye which suggested that he possibly had a past which was finally catching up to him. His violet eyes no longer twinkled with merriment. He had started to talk about an Alex, a Lem, and a Tristan. 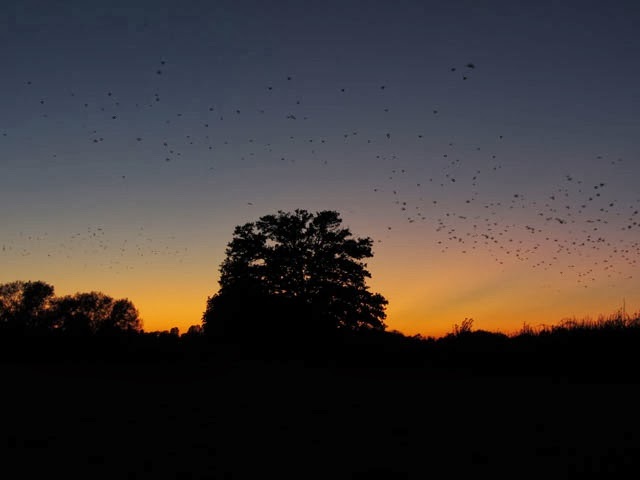 He had started the twitchings one always knew were Home-sick Twitchings, and yet nobody acknowledged them because it was a Summer of the Rooks, and everybody was meant to be content. Rooks by day, folks. Rooks by night. Why was the Summer of the Rooks always so splendid, when rooks themselves were such morbid birds? Well, quite simply, the people of those lands believed them to be good omens. Omens of happy tidings, of lush fields and great yield, of fat cows that gave full, rich, creamy milk, of hens that laid half a dozen eggs a day; each, of snails that ignored lettuces, of worms that happily wriggled through soils, of fish that flashed silver in a river that was a sea of bounty, of days filled with warmth and laughter and food, of people who did not know hunger or sadness or irritability because they had all they could ever want in one season. I wore a woolly hat, that summer. George told me his sister Lem had the exact same hat. It was just a normal hat. Blue, with zig zag stripes, and patterns in white wool. It had a little pom bobble on top, and two strings hanging by my ears. I wore it everywhere. I wore it in the forest when I went looking for blackberries. I wore it in the strawberry fields, I wore it everywhere, I tell you, everywhere. It was never cold on the Summer of the Rooks, so I really cannot say I had a solid reason for wearing my hat. Nobody asked me, however, so I didn’t say anything. Nobody stared at me, or told me I was a tad odd. They didn’t even think it, I don’t think. I don’t know why nobody questioned it. Not even Rob. I don’t know why Rob didn’t question it. We were walking over the bridge, me and Rob. When this huge cloud rolled up, cracking like some huge angry beast had slammed a stone fist into it. Lightning tore a great rift in this black cloud, and Rob and I shrank back from the monstrous beauty of it all, as the thunder clapped around us, a deafening sound, reverberating around our skulls. Then the rain began. Soft at first, then huge, like ten penny pieces, slamming on our heads and shoulders. 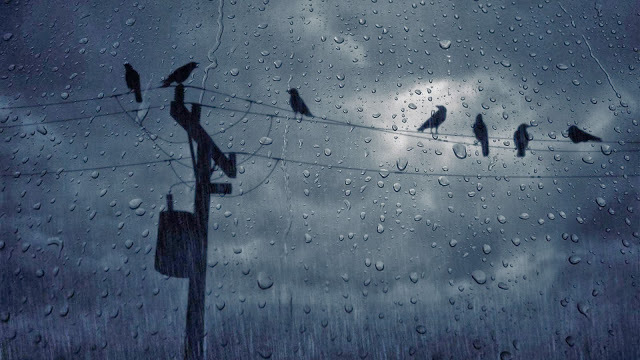 And beyond him, I saw the rooks, crowing through the rain in mockery, not seeming in the least ruffled by the downpour. So what was it about Ocean Bream? In the winter of 2010, I read a beautiful story called The Spellbook of Listen Taylor. It was enchanting. I say this now, although my memory of the plot and characters have severely diminished, because even after three years have passed, the magic and intrigue I felt whilst reading it still lingers in the wake of its memory. Now, given that she yearned for somebody (somebody decidedly of the male gender) to ask her such a thing, it was reasonable to expect that an ocean bream must have been something edible, because Cassie (I think) always said that her somebody would ask her this question at dinner. I, however, chose to ignore the fact that it could be edible, because Ocean Bream is such a beautiful word, and gave way to a wide variety of surging possibilities, each pulsing with the excitable glow of blissful oblivion. So I put off looking the word up for as long as I could, even weeks after I had finished that fascinating, beautiful, delumptious book. Finally I could bear it no longer, I prepared myself for disappointment, because throughout my literary life, I had found that nothing was quite as magical as writings made them seem. Cassie (or so I reckon) was always vague about what category of life ocean bream fit into, and all I knew was that it was something to be asked over dinner. So, I pushed my notebook aside (full of musings on the fascinating and elusive ocean bream; e.g. ‘How is your ocean bream, my love? Oh, it’s simply divine today, thank you. It’s got a strawberry trail behind it, amid gloops of shining somethings. The sunlight beams on it and it flits away leaving behind a euphoric glamour. My ocean bream is simply magical today. Or, ‘How is your ocean bream, my love?’ Not so vibrant today, actually. It’s a tad dim, but as blue as ever, shimmering with streaks of silver. Actually I think it’s yellow, sailing past my window, leaving behind a blue sky and sunshine! Why, the magic never fails, does it!’ Because, to me, ocean bream was magic in itself. The beautiful, haunting magic of fairies and pixies and delumptious godmothers who smelled of frosting and bread), switched on my computer and typed “Ocean Bream” into the search engine. Google, to be precise. I used to think ocean bream was a magic that sailed by. I used to think it was the way sunlight dappled a mossy forest floor, or the way it twinkled between the nodding leaves of a woodland canopy, or the way it shimmered on an ocean bed, refracted and swirled by the ever moving surface of the water. So when I discovered that it was just a fish, my mind started to work some magic of its own. And now, I reckon my favourite fish is the ocean bream. Not to eat, though. Never to eat. Ocean bream is too sacred for that.